Bucharest-Hotels.co.uk offers you an easy online-booking/phone support service for Timisoara hotels and provides helpful information with photos and details for each hotel in Timisoara. Book with us and get low rates for rooms in Timisoara hotels, all types of accommodation in Timisoara from budget hotel to luxury hotels, apartment rentals, cheap guest houses, budget pensions. We warmly welcome you on the Lido Hotel in Timisoara offering 4 star accommodation at high standards in suites, single or double rooms, accordingly to your visit purpose. The NH Hotel in Timisoara is located in the heart of Timisoara and close to all points of interest in Timisoara so that you enjoy a special time in the town upon Bega. Located in the heart of historical center of Timisoara, Hotel Timisoara has an excellent reputation for friendly service and the right facilities to meet your business travel needs. Boavista Hotel is situated beside the University campus in the S-E of the city and near the Olimpia sport hall, a great hotel for business in Timisoara and travel services, as well. Hotel Tresor, 4 star hotel in Timisoara, is situated in a quiet area of Timisoara city, at 10 minutes from the airport and 5 minutes from the city center, close to all interest points. Tourist Complex Perla in Timisoara, appointed in the center of the city, provides affordable accommodation at different tourist standards, a pleasant outlook and high comfort services. 4 star hotel, Reghina Blue is one of the most beautiful hotels in Timisoara, recently open for tourists and for hotel rentals. It combines elegance and charm with modern sense of comfort. Delpack Hotel is the newest 4 star hotel in the city, located in the old center of Timisoara, minutes away from the city's main attraction points and it's main train station. At Hotel Angellis you get the full attention of staff, but also its location advantages of this hotel near the Theater and National Opera, Timisoara Military and 5 minutes of Iulius Mall. Valentina Hotel in Timisoara, offers accommodation ideal for all clients, from tourists to businessmen, is located 10 km from International Airport. The luxurious Hotel La Residenza is the ideal choice for leisure and pleasure you will return to this place, situated near the old city center Timisioara. Aurelia 3 star hotel is ideal for rest and relaxation, is located just 15 minutes drive from downtown Timisoara, also called city of flowers. Hotel Le Baron located on the European road E70 is ideal for relaxation, but not limited to our clients as both tourists and businessmen. Koronna hotel decorated in period style, away from busy life and that makes you feel like a wonderland, is just 10 minutes from downtown Timisoara. Hotel Royal Plaza, modernized 2009, the time he opened the hotel restaurant Italian Royal Ballroom with a capacity of 2000 seats. IQ Hotel Timisoara, located in a pleasant residential area, houses 24 rooms, conference hall with a capacity of 24 persons, breakfast room and bar daily. Hotel Novera, crowned with four diamonds, passed in 2009, a gentle and pleasant atmosphere, whether you come for business or simply want to visit the city Timisoara from Banat. Welcome to Hotel President, who will delight in a patriarchal environment and also a business atmosphere, you can enjoy your stay quietly. Silva Hotel, one of the first private hotels in 1995, the year was also inaugurated at the beginning it was only a board of 7 rooms. Hotel Nord, located close to North Station Timisoara, offers customers who will step into a two-star standard accommodation, upgraded rooms and a holiday atmosphere. Vanilla *** hotel, located close to the Student Campus and the Business Center, a modern design, host team will expect to spend a wonderful stay. Imperial Hotel in Timisoara is small and is in a quiet neighborhood, 7 minutes from downtown, 10 minutes from the airport and close to shopping center expanded Julius. Larissa Hotel, modernized to high standards and reopened in the autumn of 2009, enjoys a settlement only 15 minutes from the historical center of Timisoara. Arinis hotel, located near the center of Timisoara, a building almost 2000 years old, a modern urban ambience, facilities of the 21st century. Arta, most modern, luxurious and comfortable 3-star hotel from the town of Bega River, Timisoara. European conditions, Modern rooms at affordable prices. Hotel Ramina ***, is said by a modern design, refined, an upgrade to 21st century civilization, an elegant and complex atmosphere with warm colors such as cream, yellow and gold. Ever since its opening in 1999 in Timisoara, Reghina Hotel received plenty of awards and sincere appreciations from specialists and tourists, as well. We look forward to your visits! Being a blend of past and present, of history and modern times, Best Western Ambassador Hotel offers the perfect atmosphere for the traveller who wants to enter it. 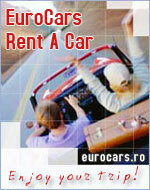 Hotel 2000 provides great accommodation in Timisoara. The fabrics (marble, glass, inox) draw a special outlook combined with old architecture frames and naturally enriched area.